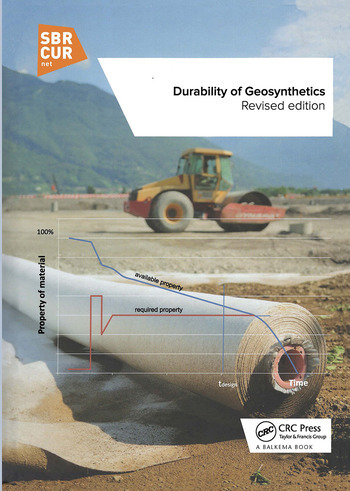 This book provides a state-of-the-art review of the life-limiting mechanisms of geosynthetics, the methods available to test and assess lifetime, and the means by which durability can be improved. It provides engineers with the information they need on the durability lifetime, bridging the knowledge gap between them and polymer scientists. The style of the handbook is deliberately non-technical, in that it avoids chemical formulas and makes widespread use of graphs and photographs. Summaries are provided for most sections. It shows how to predict the service life of geosynthetics based on state-of-the-art knowledge and in some cases provides numerical examples. Engineers can use it to decide what they should specify, scientists are shown how to perform extrapolations and derive reduction factors, and assessors are given a separate section indicating how they should treat the information presented to them, including the uncertainties of the methods of testing and extrapolation. While directed primarily at geotextiles, reference is made to geomembranes and their use in landfills, for which a supplementary chapter is added. Dr. J. Greenwood and Dr. H.F. Schroeder are experts in polymer science and durability issues. They have been recently retired as consultants from their respective Institutes. They have been leading consultants in this field for many years and have both been active in the standards committees CEN TC189 and ISO TC221 (both geosynthetics) for over 20 years. W. Voskamp has been active in geosynthetics for more than 30 years, and is the former R&D director of Colbond Geosynthetics bv. He has been an officer of the International Geosynthetics Society (IGS), and has been active in many geosynthetic technical committees in various countries. At present he is president of IVG, the German organization of geosynthetic manufacturers.